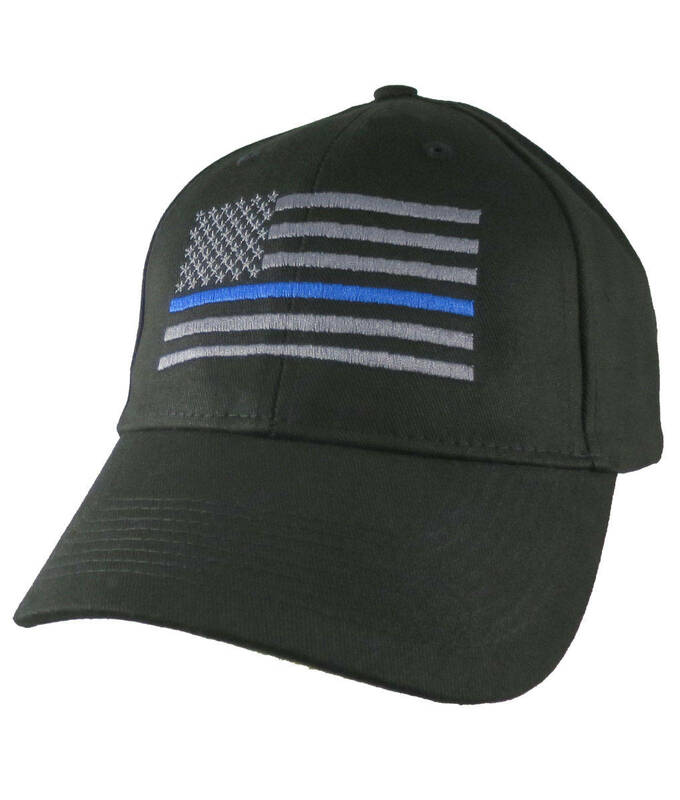 “An American Blue Line” the thin blue line symbolic on a US flag. 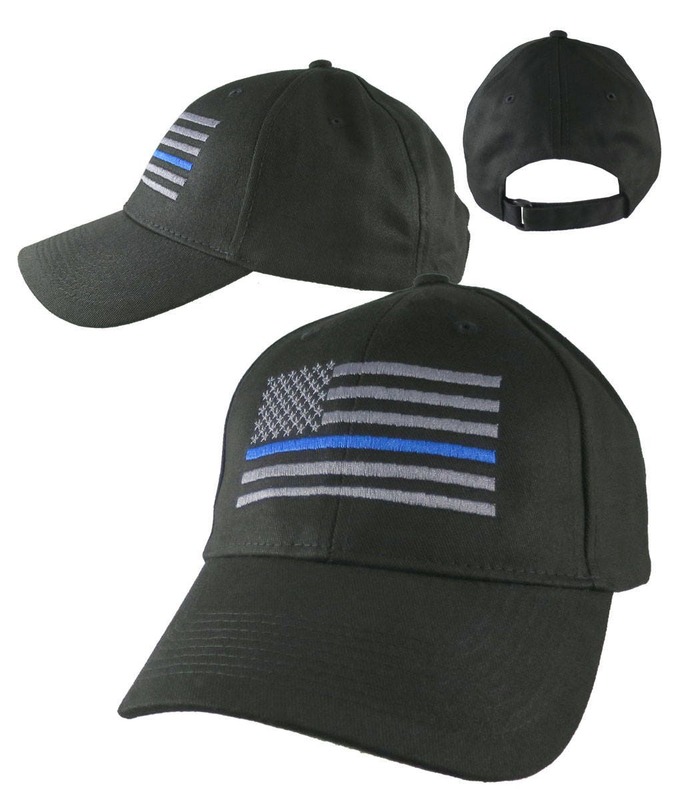 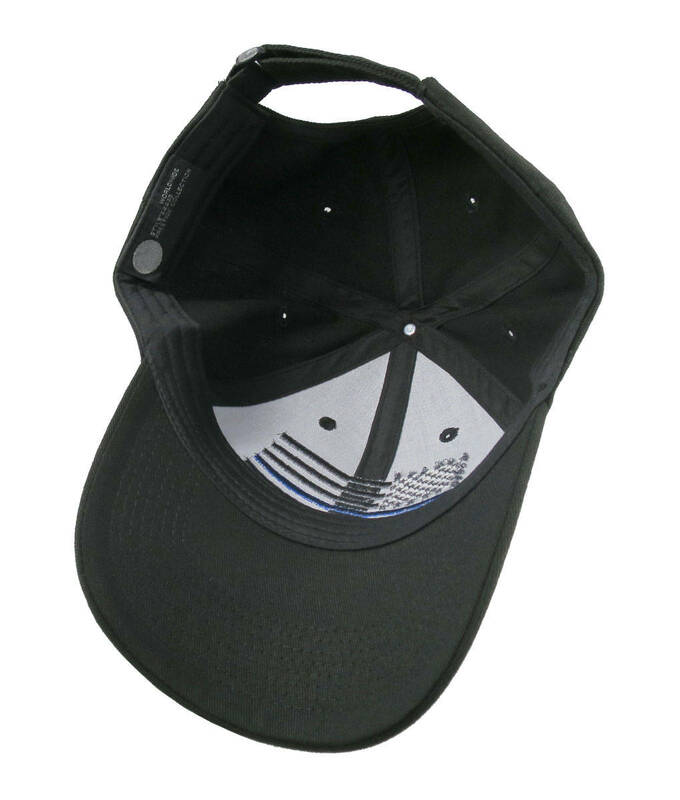 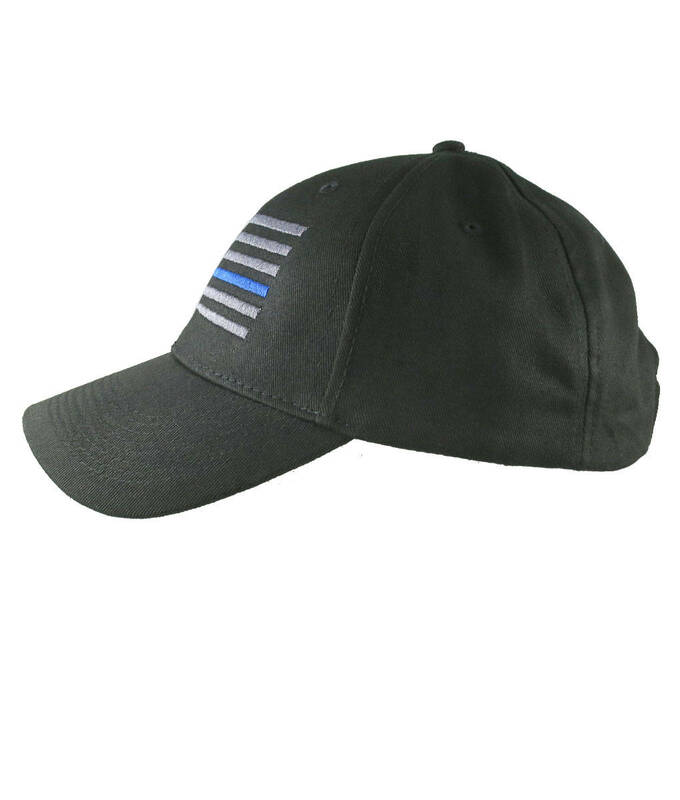 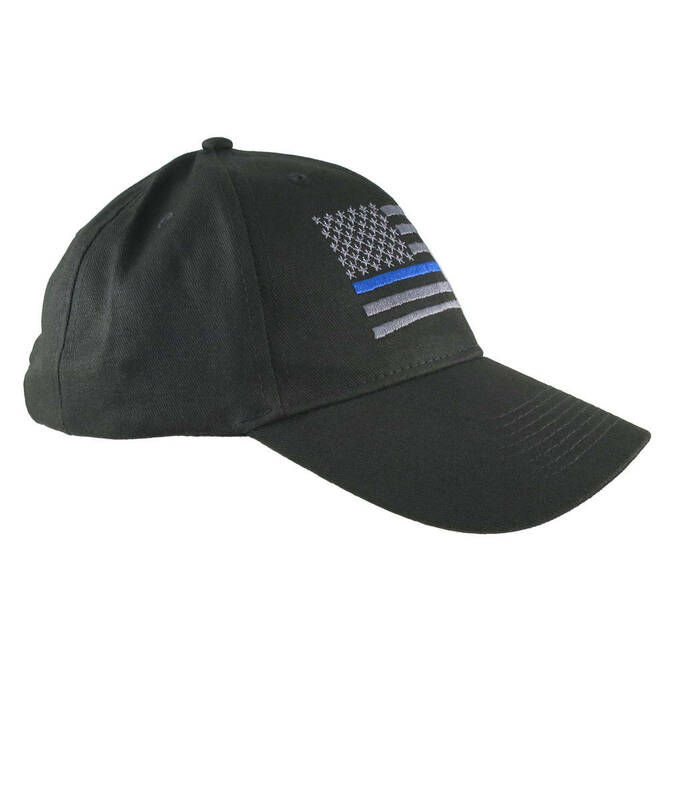 The embroidery work is done in charcoal and royal blue and is offered on a stylish black adjustable structured baseball cap. 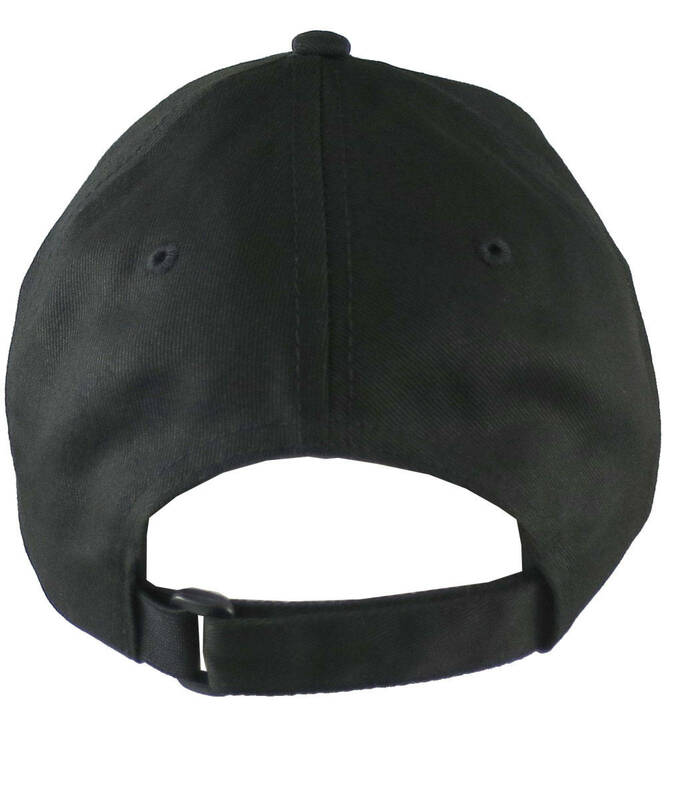 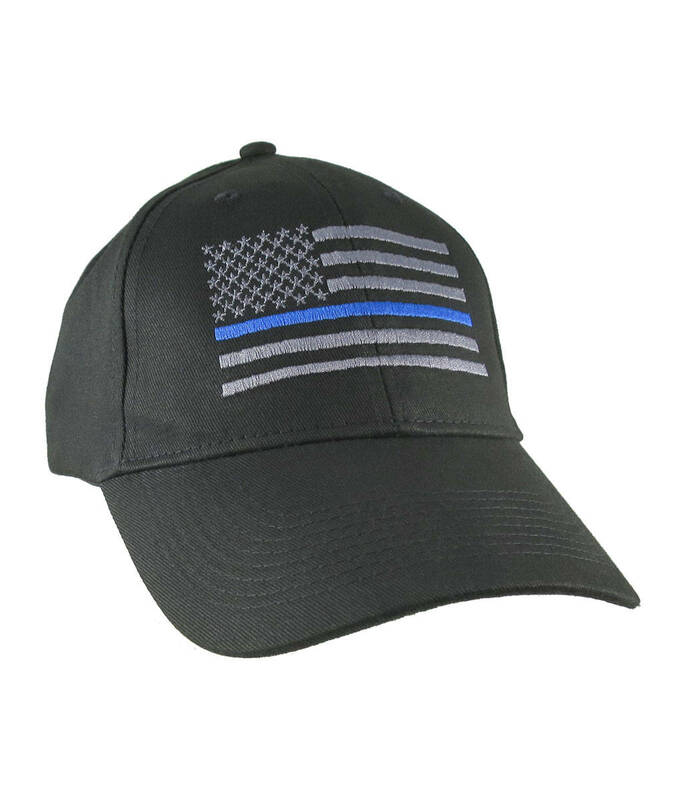 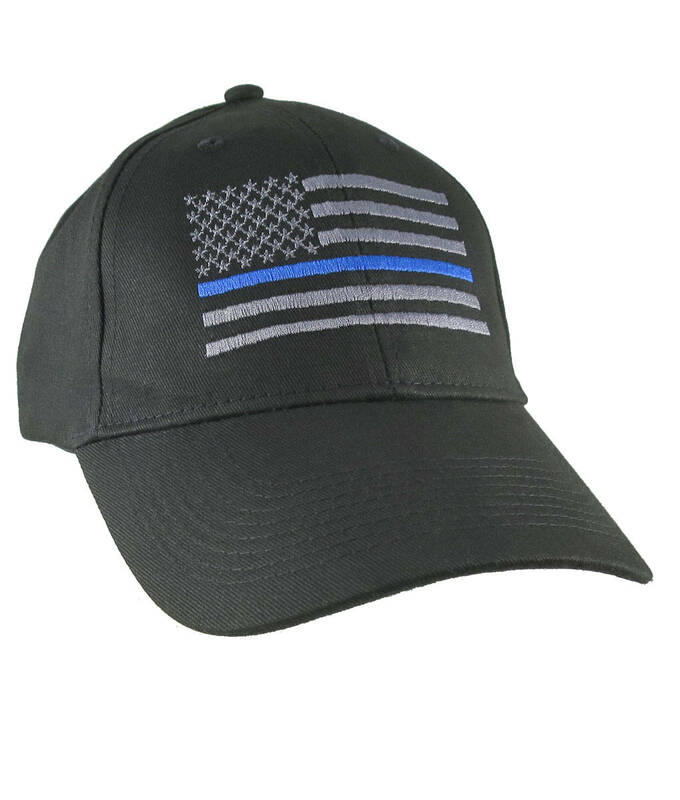 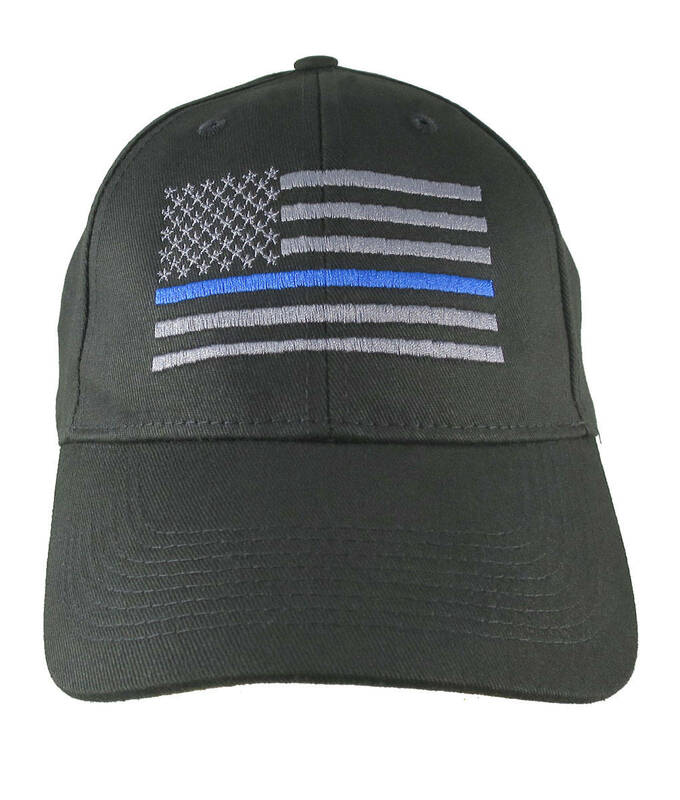 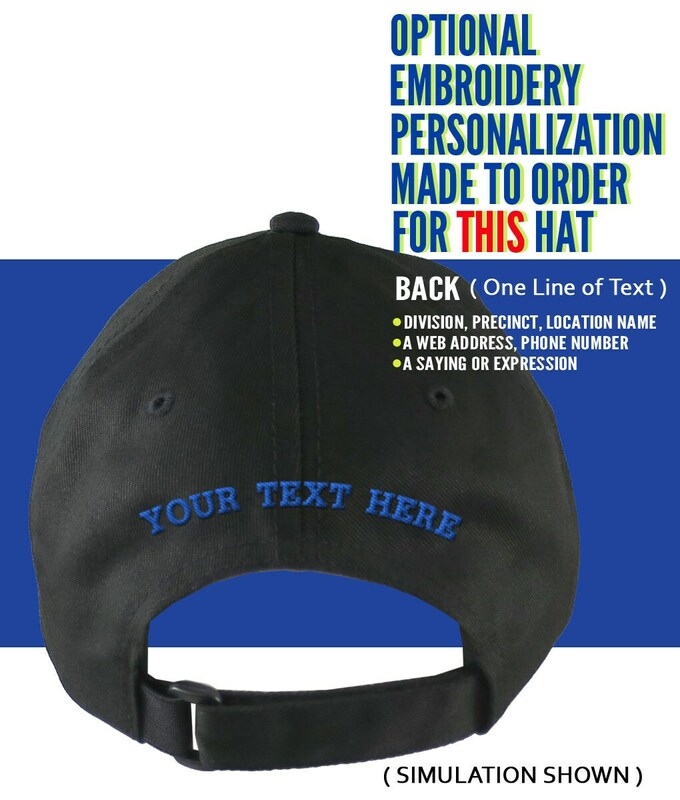 You can also optionally personalize this hat on the back for an additional fee.